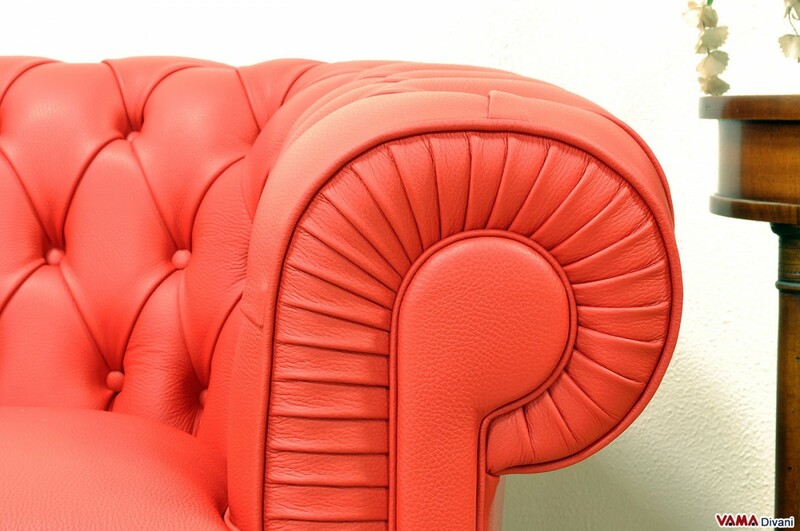 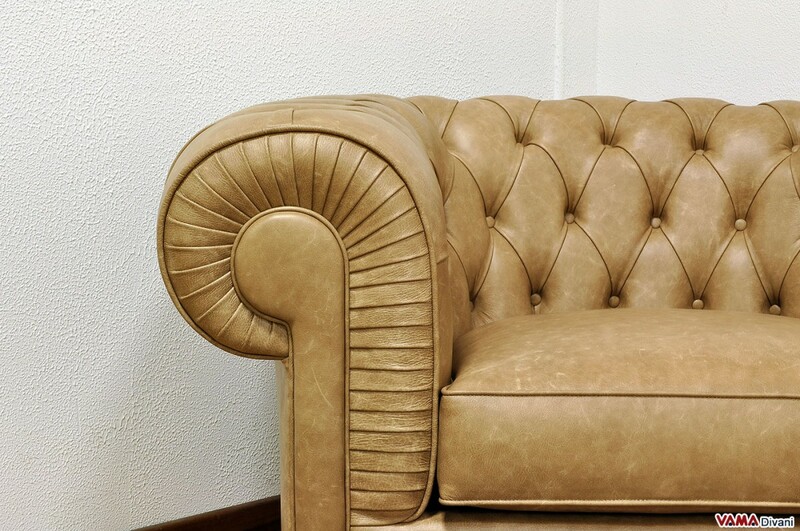 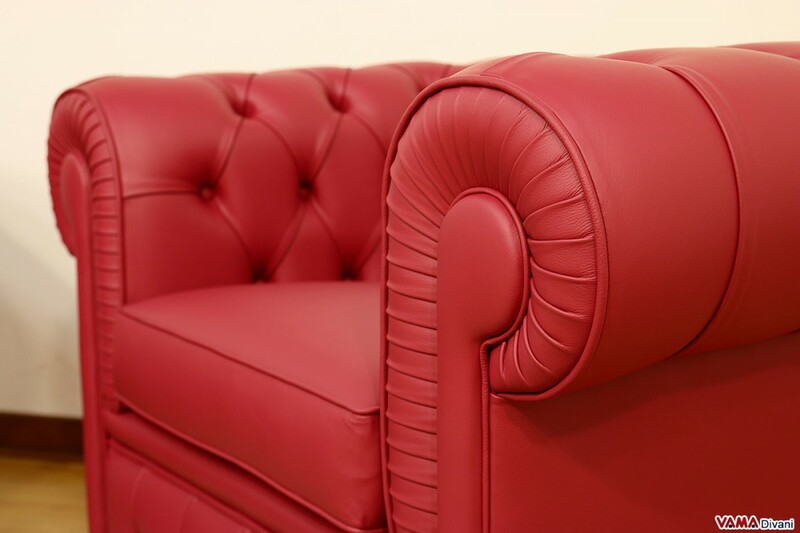 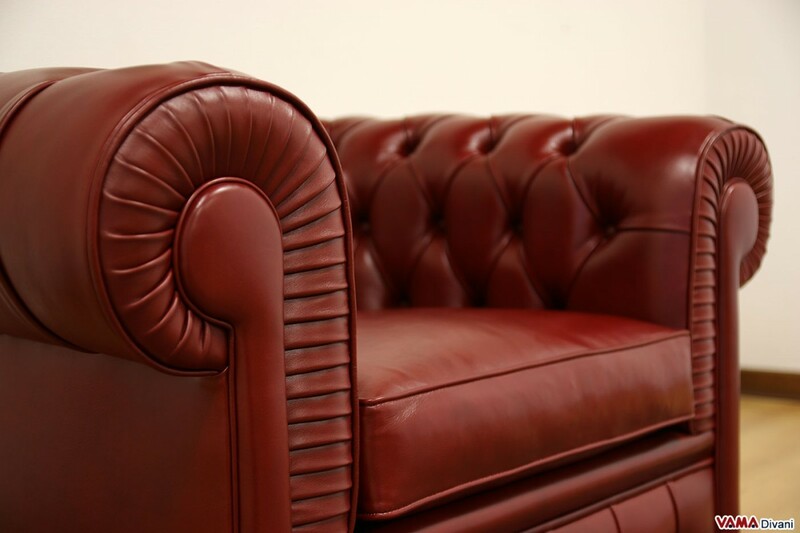 Undisputed icon of classical furniture, the Chesterfield armchair reproduces in every detail, the features of the timeless British sofa of the same name. 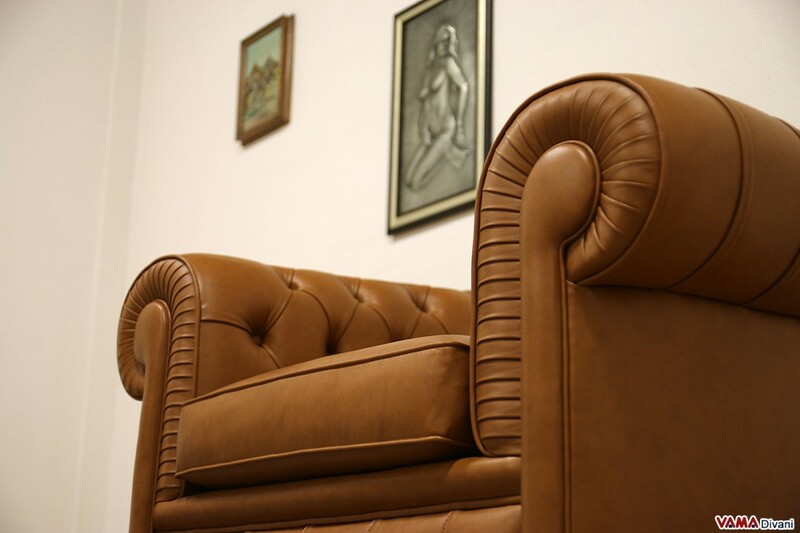 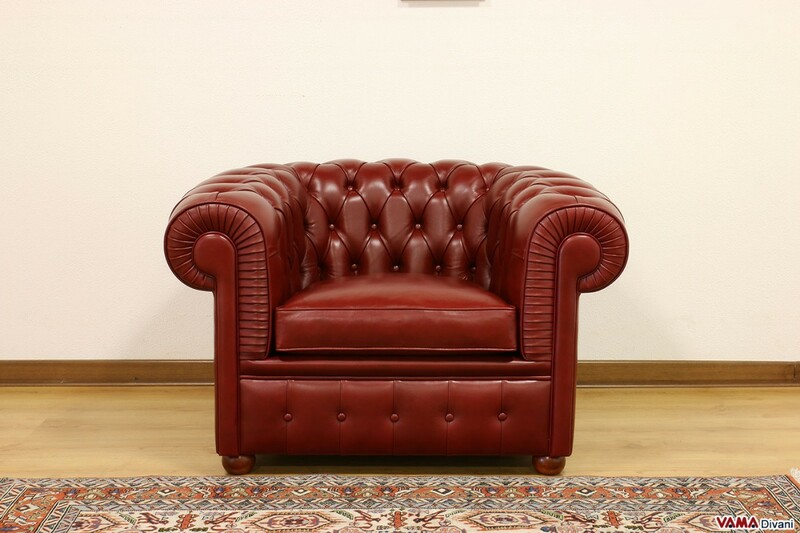 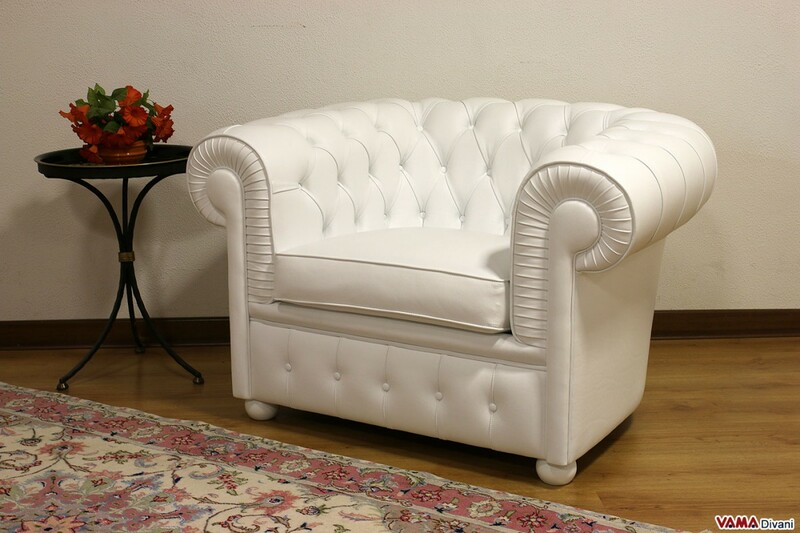 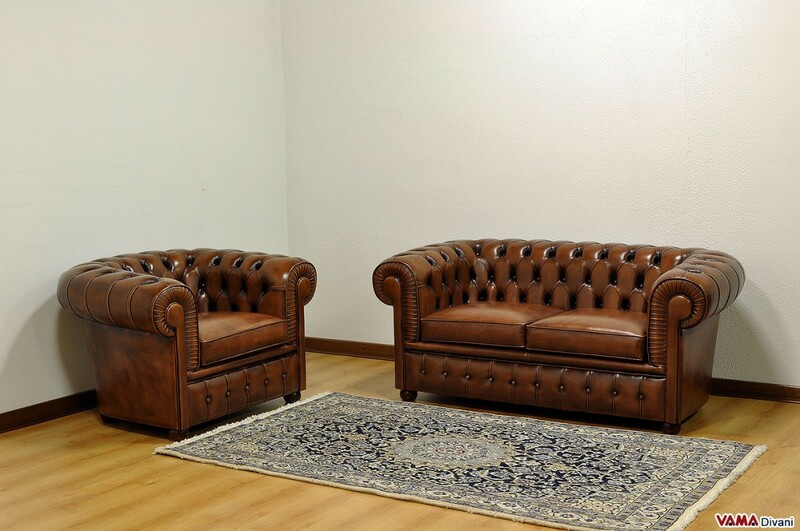 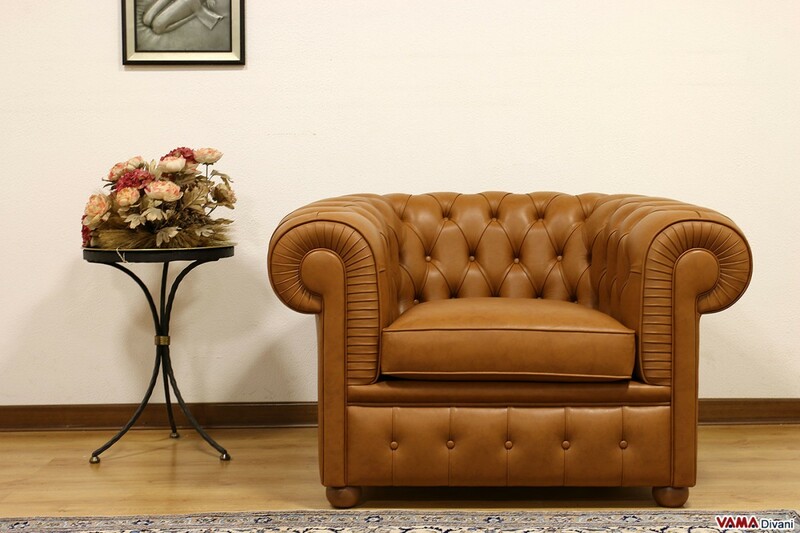 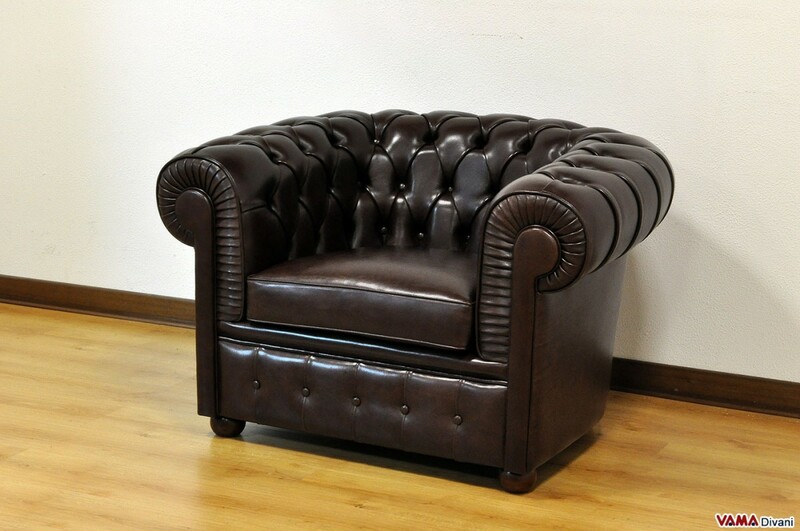 A really crafted masterpiece, the Chesterfield armchair is upholstered in high quality leather with buttoned details, the typical decoration of the Chesterfield sofa, and with many other finishes. 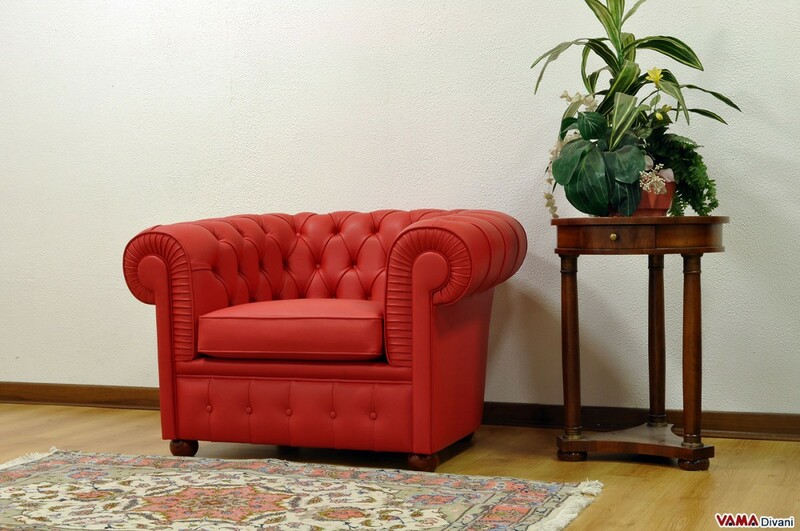 Comfortable and very elegant, the Chesterfield armchair is designed to be matched with a sofa characterised by the same style, but it proves to be perfect in many different and classic contexts, such as living rooms, offices or other environments. 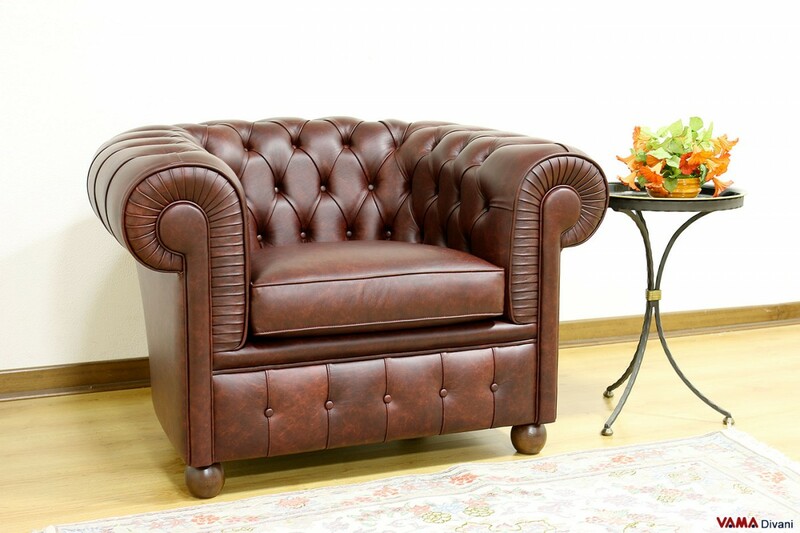 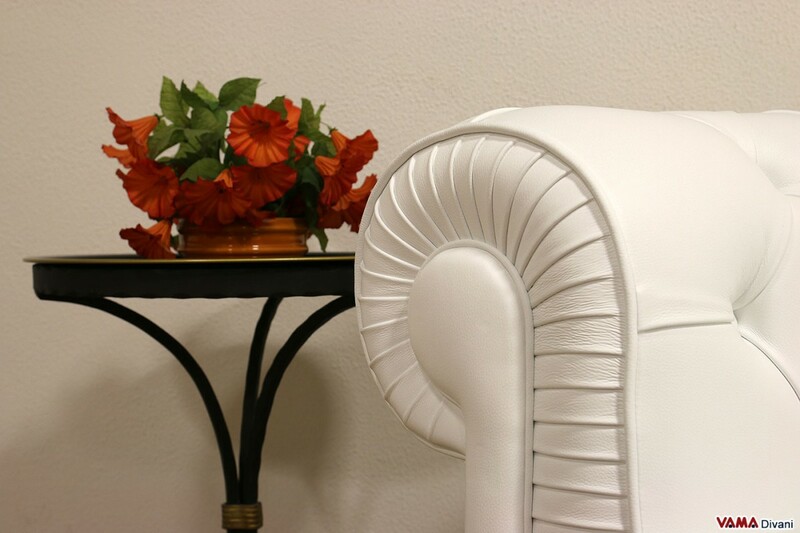 When it comes to classic armchairs, the first one you think is certainly the beautiful Chesterfield armchair. 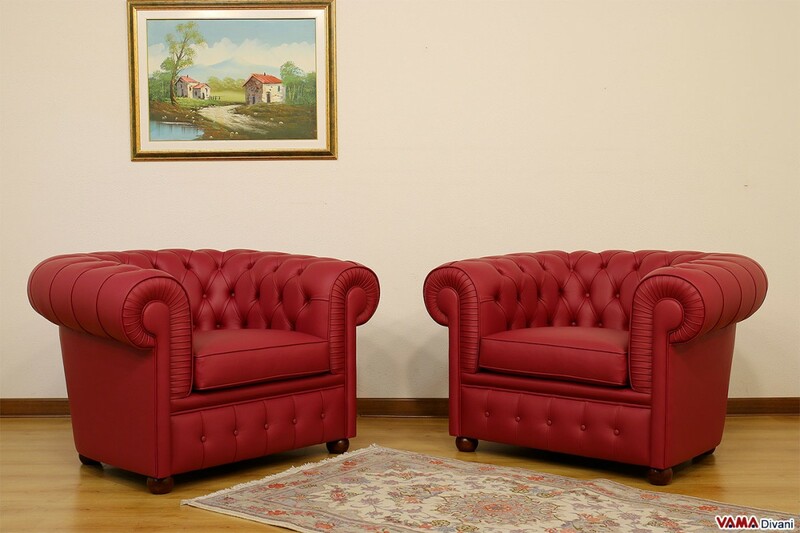 This armchair presents very similar structural features to those of the English Chesterfield sofa, which is officially considered to be the world's oldest sofa and that, even today, is the most chosen and appreciated model ever. 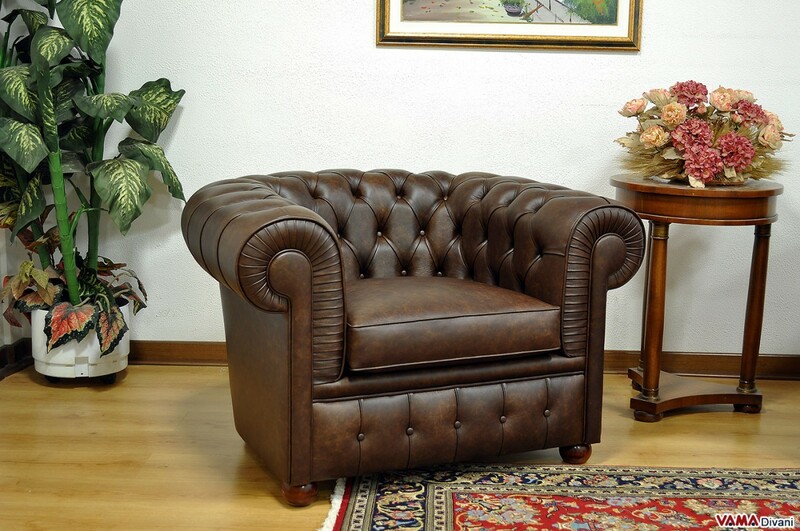 The Chesterfield armchair is entirely upholstered in high quality leather, which, on request, can be embellished with special hand crafted details designed to make its look even more "vintage". 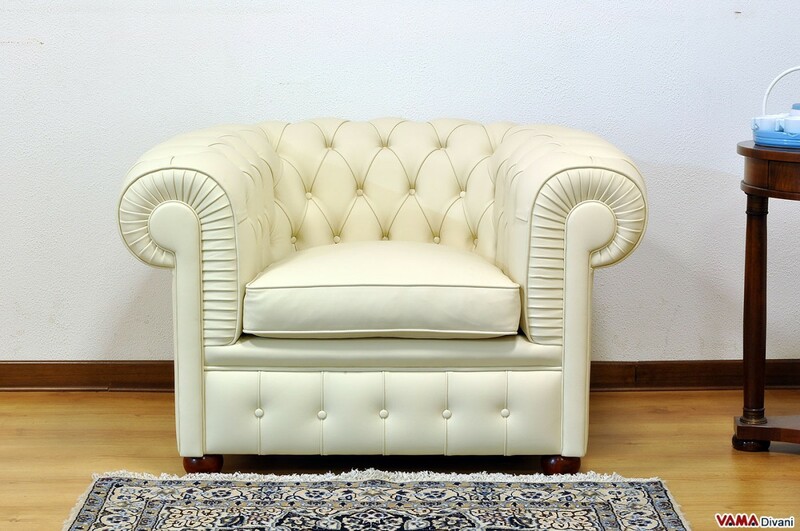 Just as the Chesterfield sofa, this charming leather armchair is embellished by buttoned details, the exclusive hand crafted decoration of its surface realised applying on its upholstery, some small buttons that create a series of evocative diamond shapes. 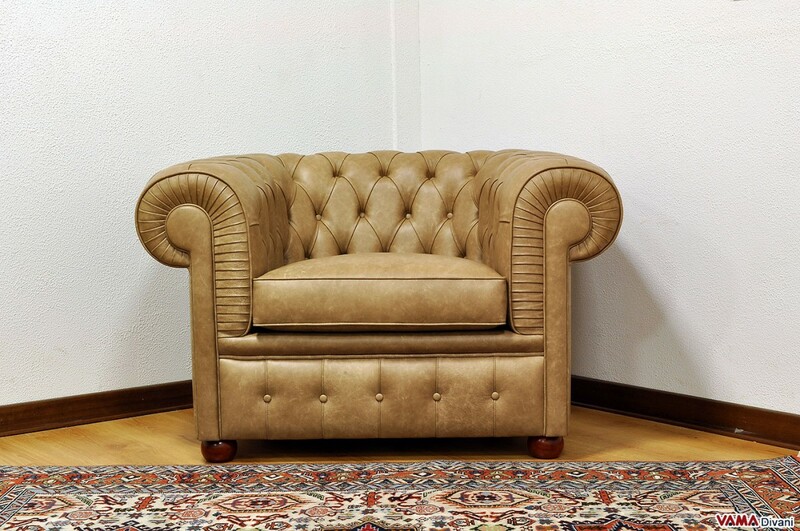 The seat cushion is perfectly smooth, just like for the oldest Chesterfield sofas, while the base is finely buttoned; other nice details, such as its bold wooden feet and its back and arms of the same height, will make the style of this armchair even more pleasant. 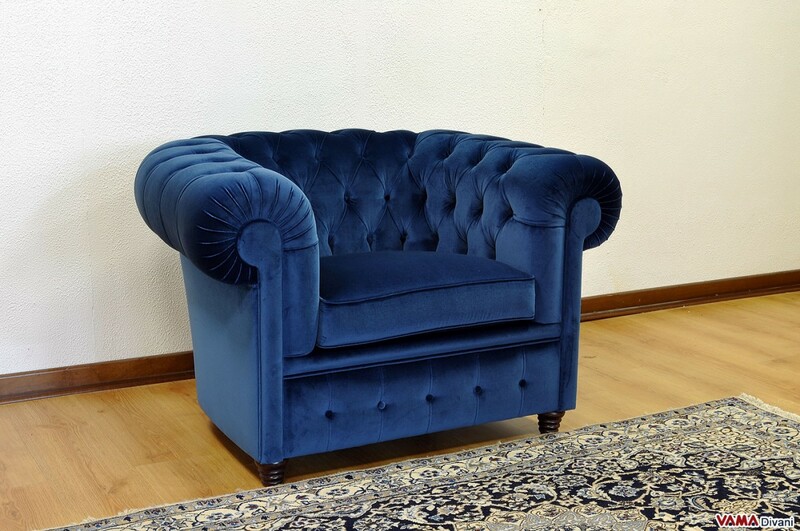 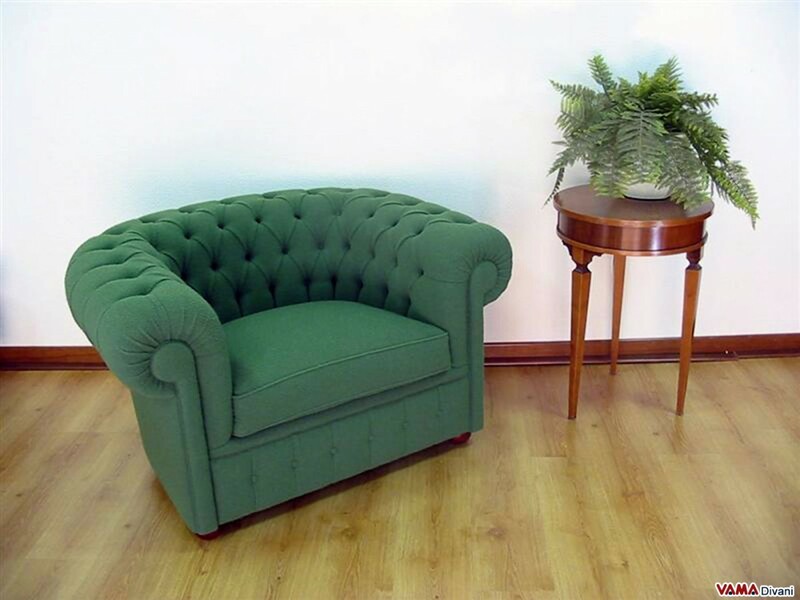 Perfect in living rooms and ideal, of course, to be matched with a 2 seater Chesterfield sofa, this classic armchair can be easily placed also in a studio, in a bedroom, in an office, etc. 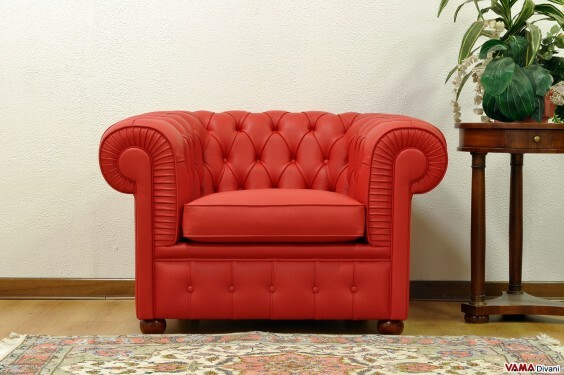 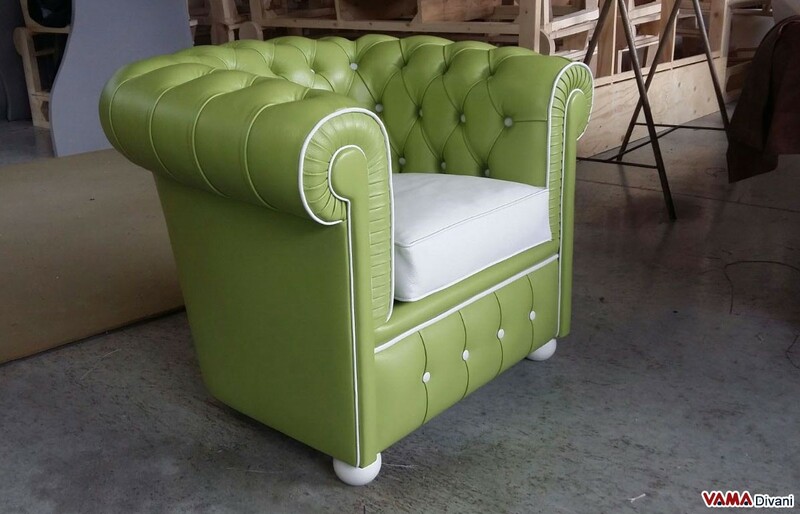 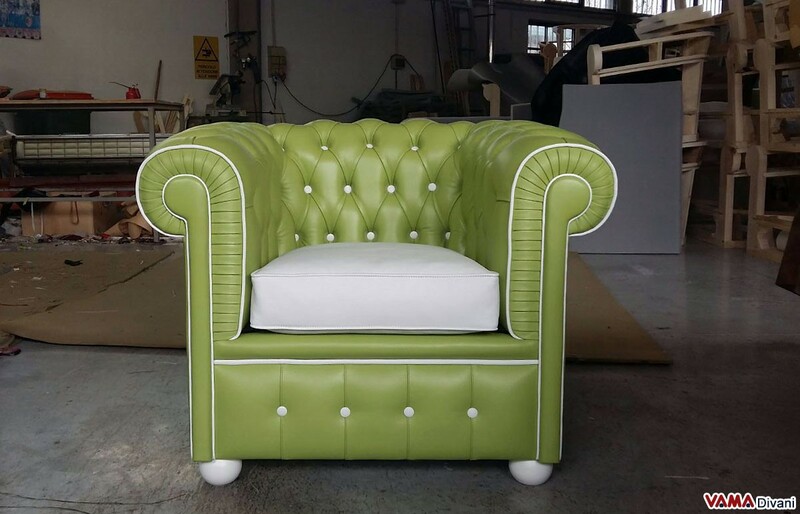 For lovers of classical furniture, the Chesterfield armchair is really a first level choice, and the experience and the skills of the Italian craftsmen of VAMA Divani can be easily felt in all the beautiful finishes that characterise this armchair. 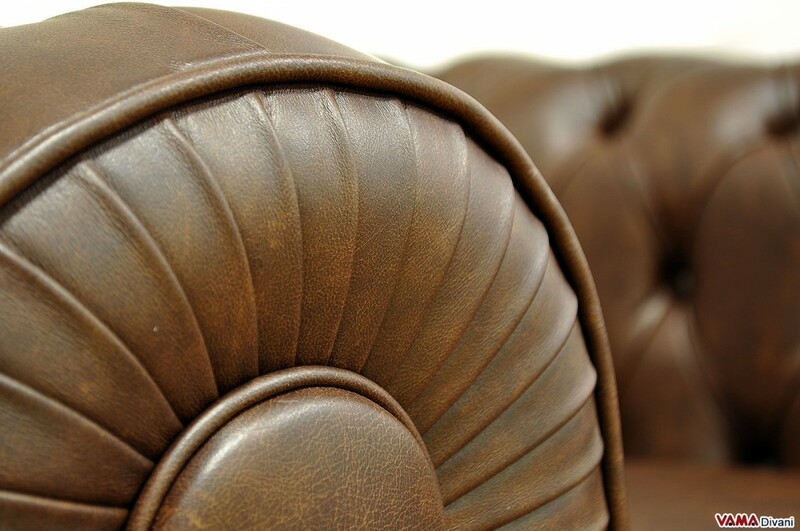 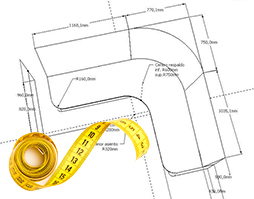 To know the price of the Chester armchair, just select the type of your upholstery from the menu at the top of the page.